Lord Carter's Digital Britain interim report contained a whole host of recommendations for the future of DAB radio, including the criteria that must be met before a digital switchover would be considered by the government. The report makes it clear that the government is committed to DAB as a 'primary distribution network' and calls for a Digital Radio Delivery Group. But with precious little information on funding, it is difficult to plot a clear path as to the future of digital radio ahead of the full report in June. Make a clear statement of intent on DAB: "We are making a clear statement of government and policy commitment to enabling DAB to be a primary distribution network for radio." Create a plan for a digital switchover for radio: but "...it will only happen when 50% of radio listening is digital and when national DAB coverage is comparable to FM coverage, and local DAB reaches 90 per cent of population and all major roads." Create a Digital Radio Delivery Group: "We will create a Digital Radio Delivery Group, which includes the retailers, the transmission networks, the BBC, the commercial radio companies, the car manufacturers, consumer representatives and the device manufacturers, whose role would be to increase the attractiveness, availability and affordability of DAB and to advise on the Digital Migration Plan." 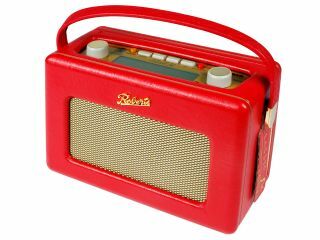 Work with BBC to promote DAB: "We will work with the BBC to explore how they could extend their digital radio coverage to replicate at least current FM analogue coverage." Check the costs: "As recommended by the Digital Radio Working Group, we will conduct a cost-benefit analysis of digital migration." One-off five year extension of licences: "We will consult on new legislation to allow a one-off five-year extension of existing community radio licences, to bring them in line with other radio licences and recognise the important role they have in delivering social gain. We also intend to re-consider the rationale for the current restriction of 50% of funding from any one source." Look at local radio: "We will commission an independent expert examination of the economic viability, continuing social contribution of, and most effective delivery methods for, local radio services and the relevance of the existing locality legislation."